This article will be used by agents who wish to create a hidden folder. 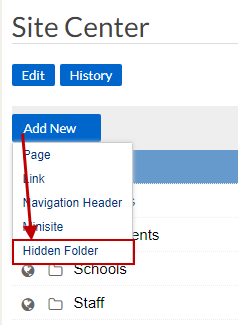 Follow the steps below to create hidden folders. After the folder has been added, just move anything that needs to be hidden into the hidden folder. Users can create as many hidden folders as needed. To move an object, just click on it once and then click on the Move button at the top.